Merseyside Embroiderers Guild Colour Competition is all about COLOUR. Entries of embroidery may be traditional or modern in any form. They may be pictures, garments, accessories, hangings, etc. The winners prize is the beautiful Edna Billison Glass Trophy, plus a monetary gift token. 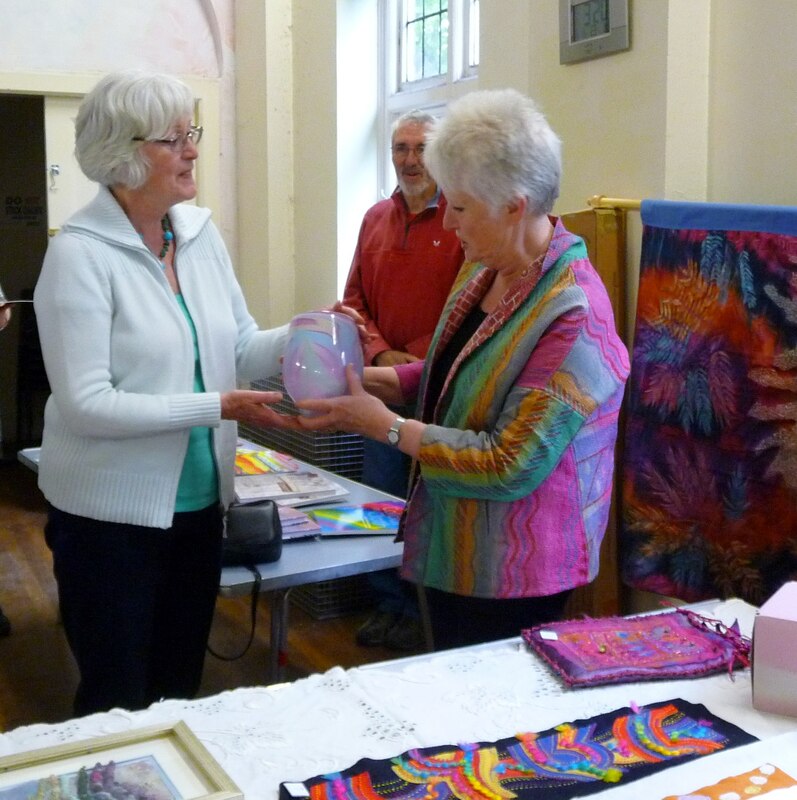 This competition is judged at our May meeting of Merseyside Embroiderers Guild. The Colour Competition has been held since 2010, and if you visit our COMPETITION WINNERS page, you can see photographs of all the previous winners. Click here to see photographs of all our previous Colour Competition entries.